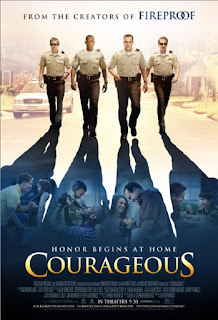 I watched Courageous in the most difficult of circumstances for watching a Christian film: in a church. Home video is ideal for watching a Christian film, providing the maximum opportunity for snarking at shoddy production values, awkward dialogue, and inane plot developments. Even in a movie theater, it's dark. You can whisper sarcastic remarks quietly. 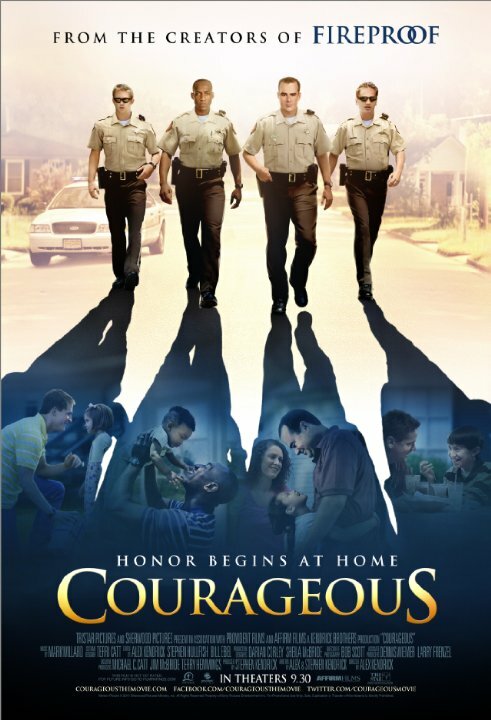 But I watched Courageous in the worst of circumstances. The lighting is never quite dark enough in a church. To make things worse, I was on staff at the time. The interim pastor introduced the film with a big build-up of the greatness of the film. So me snickering about cheesiness during the film wasn't going to sell well. But we're not here to talk about my difficulties in sobriety during film viewing. We're not even here to discuss the quality of the film, which was, in fact, surprisingly mediocre rather than bad. We're here to talk about the Church in the Movie. Since it's a Christian film, you can be pretty sure a church will be there. The film is about a group of police officers on the force in Albany. One of the officers goes through a great tragedy, causing him to rethink his responsibilities as a father. A church plays a big part in that parental affirmation. 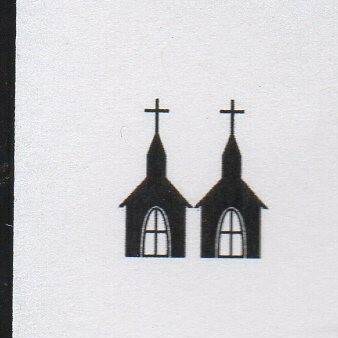 We first see a church during the funeral of a child. I'm sorry. I should have had a trigger warning about that. The death of a child is a pretty upsetting plot twist -- it's bad enough in a review but you're now warned before you see it in a film. In the eulogy, Pastor Rogers says, "Silence seems to be the only expression that fits." And yet he keeps talking. And the other things he says he says are pretty much true and appropriate. "We speak because because we have a living hope. Our hope is found in the fact Jesus is no longer entombed." The father of the child, Officer Adam Mitchell, goes to see Pastor Rogers for help. I sort of wondered why Adam had to go to see the pastor. It seems like when parents lose a child, the pastor should be checking on the parents. Anyway. Adam says, "Pastor, thanks for meeting with me. I can't make sense of anything." The pastor responds, "The grieving process take time. It's like an amputation. You heal, but something is always missing. But those who go through an experience like this and trust God experience a closeness to Him like no other. You'll need to choose whether to be angry for the time you didn't have or be grateful for the time you did have." The pastor asks how he can help and Adam responds, "Teach me to be a father." So Adam begins studying parenting in the Bible. He comes up with a pledge that he and other fathers can take to be a good father. They have a Father Commitment Ceremony officiated by a couple of pastors. Four men sign the resolution with families present (except for the guy who abandoned his daughter and is trying to make things right.) They recite a pledge, "I solemnly resolve before God to care for my wife and children as the spiritual leader of the home." Pastor Rogers exhorts the men, "I bless you in the name of the Lord. But I warn you that you are now doubly accountable. You need courage." They all hang resolution plaques on their walls. A parenting montage with music ensues as we see the men living out their resolution. The film concludes with a church service. Pastor Rogers tells the congregation he has been preaching for the previous six weeks on being a father. This bothered me a bit. Did women and sterile men feel left out the previous month and a half? Anyway, he turns the pulpit over to Officer Adam Mitchell. Adam has fathers stand to show their commitment to the proclamation of Joshua 24:15, "As for me and my household, we will serve the Lord." Stirring music rises. 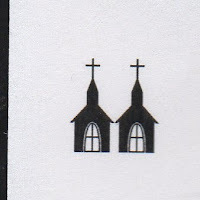 If Pastor Rogers had been a little less lackadaisical about caring for a family that lost a child, I might have given the church in the film better than 2 STEEPLES. You are way too critical. It was an amazing movie! It is not uncommon for someone to go to a pastor when they are grieving. Just because he went there, doesn't mean that the pastor didn't go to seen them at home, just because they didn't show that. And, I am a woman. I would not feel "left out" if there were several weeks of sermons instructing men how to become good fathers. The father in a family is the central figure in the home. He is the leader. It is the model of the family in the Bible. That is what the movie is about. Bravo for the writing and the emphasis. It is so much better than what our culture teaches. Movie reviews may help increase the excitement you gain from a movie The months resulting in a huge boxing match are always intriguing. Author is an expert of alien covenant 9moviesonline, visit here for more interesting information.